With the many types of contraceptive available today, it can be difficult to decide which birth control method is the right one for you. Today, we will take a closer look at the Mirena coil how it works, how it is fitted, and what the pros and cons of this device are. The Mirena intrauterine system (IUS) is a t-shaped device that is fitted into the uterus to prevent pregnancy. 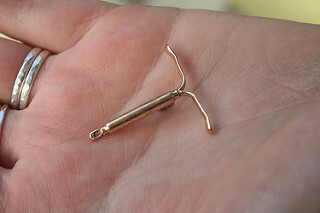 Unlike other intrauterine devices like the simple copper coil, it also contains a reservoir with the hormone progesterone (levonorgestrel to be exact). After the Mirena has been placed inside the uterus, this reservoir will deliver around 20mg of this hormone each day. The Mirena coil essentially combines the benefits of the traditional coil with hormonal birth control methods like the pill, though the levels of hormones that are absorbed are much smaller. It is fitted by a doctor and needs to be replaced every five years. After a Mirena coil has been fitted, there might be a brief period of side effects. They are temporary, but can include headaches, edema or fluid retention, and tender breasts. Not every woman gets these side effects. The placement is simple, and you can then forget about the Mirena. There is a slight risk of pelvic infection, though much lower than with the copper coil. The Mirena makes the uterine lining thinner, which means many women also experience a much lighter period than before. After the coil has been taken out, the endometrium returns to normal in around a month, making it possible to try to get pregnant. There is a slight chance the Mirena can come out, especially in the first months after placement. Checking it regularly is a good idea. The Mirena is very effective, but should it fail, the risk of ectopic pregnancy exists because of the presence of the coil.